What do you get when you mix Nubian alpine and Nigerian goat milk? The simple answer is quality soap. 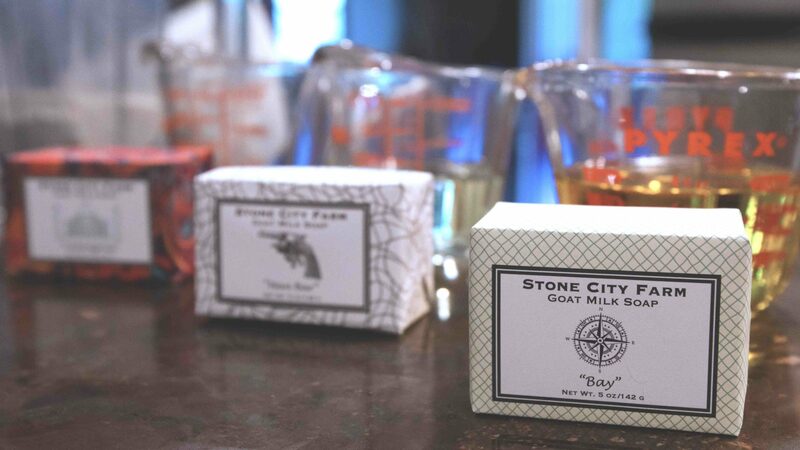 Stone City Farm in Tenino specializes in 100% all natural, raw goat milk soaps with essential oils and butters for refreshing scents and soothing textures. The “triple threat” goat milk combination helps sustain the local farm in their production of small-batch, craft soap bars, each scent displaying a subtlety lavish touch designed for the most sensitive skin. The idea grew from an event that raised awareness of ingredients in every day products. “Nine years ago a family friend was diagnosed with an auto-immune disorder. 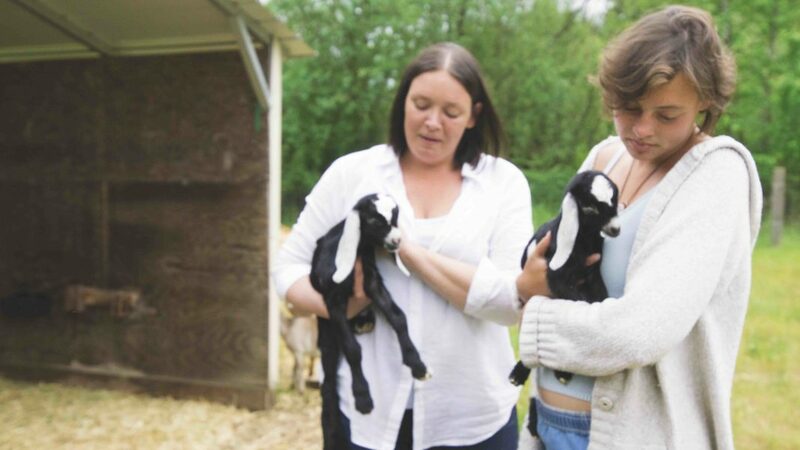 Having sensitivities to the environment got me looking at ingredients and really thinking,” Kathleen Nece, owner and mother at the family farm says. The goats on Stone City Farm breed in the fall and give birth in the spring, making milking season begin in March and last through November. 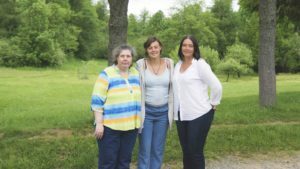 The operation is conducted on the farm with “Grandmother” Kathleen, “Mama” Kathleen, “Aunt” Renee, and daughters Isabella, Catarina and “Baby” Kathleen. “We all do work together, but people have their designated tasks,” Isabella explains. Making sure all the farm animals get fed and the goats are milked marks the beginning of a morning. Members of the family take turns representing their booth at Pike Place Market, while others have production, packaging and distribution shifts. Stone City Farm’s soap recipe calls for 100% goats’ milk, mixed with lye, which is then lovingly poured into the desired oils. The process can become laborious, with the need to maintain different temperatures, but the outcome is luxurious. Some of the more favorable scents amongst customers are Lemongrass, Rosemary Mint, Eucalyptus & Cinnamon, and of course Man Bar. “Hands down the best seller is the Man Bar because it appeals to every person and acts as a scrub as well,” Isabella says. “We don’t have 40 different scents; we have 16 that sell very well,” Kathleen says. “When developing a new product, there is a learning curve in understanding what people will respond to and what customers want.” The “Perfectly Imperfect Box,” seen at their booth in Pike Place Market, features unwrapped soaps and testing scents for people to “sample sniff.” This box helps the business measure popular scents and establishes continuation of a product. Stone City Farm also takes requests. “Frankincense and Myrrh was a huge request that is our newest scent,” Isabella says. When there is a strong scent in demand, the Nece family makes an effort to listen to customers, creating a bond that aligns with their mission and customers. 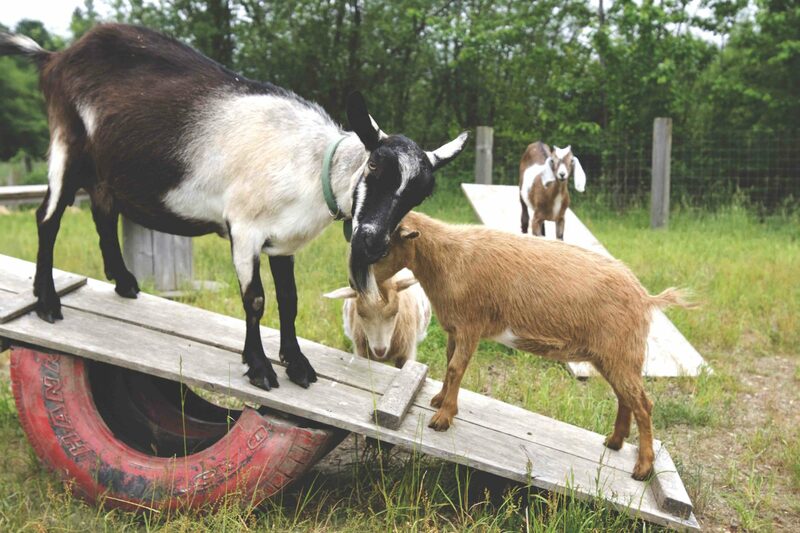 The future for Stone City Farm holds many cards with various plays. The possibility of body butters without harmful chemicals is in the works, though more solidified are the farm’s bath salts. The bath salts offer an aroma therapy technique with a unique blend of two different salts and essential oils. Dead Sea salt will be used in most of their recipes, and some of the tested scents resemble the soap bars such as Rosemary Mint, Eucalyptus and Lemongrass. The bath salts are to be released in the fall and are likely going to be a hot seller for busy people that need a little rest and relaxation. The mindfulness that appears in the practices of Stone City Farm is obvious and follows through in each product. The soap, spa cloths and teak soap decks are carefully hand-made, each one unique from the next. Stone City Farm is a family business that reflects layers of positive energy with each member exercising unstoppable depth in order for the passion to live truly. One visit to the farm is physically and mentally a breath of fresh air. This refreshing notion is something the Neces continue to pursue in their gracious adventure in creating beautiful raw soap that people can feel confident and comfortable in using. Follow Stone City Farm for updates on products and pop-up events nearby.